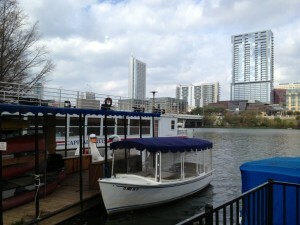 One of the many reasons why I love Austin is because of the weather. In the winter time the weather never gets too cold for too long. On a recent trip home, the weather was a high of 80 for two days straight in mid December! 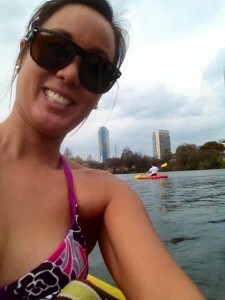 My mom and I decided to take advantage of the great weather and rent a paddle board on Lady Bird Lake near downtown Austin. 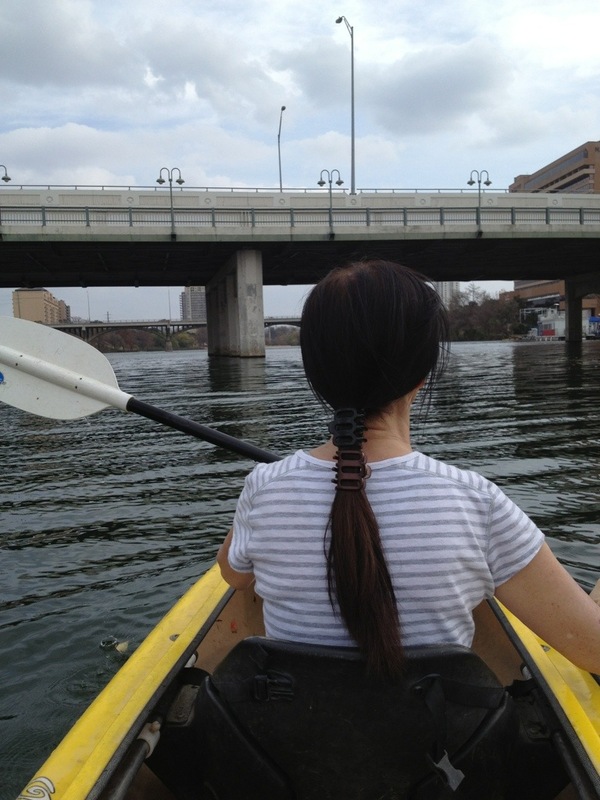 I went online and looked at our options and found Austin Paddle Sports who operate out of Capital Cruises right in front of the Hyatt near Auditorium Shores. The website said first come first serve for rentals at $15/hour per board, so we decided to just stop by and check it out. The lake that day looked a little windy, and we didn’t see any paddle boarders out. 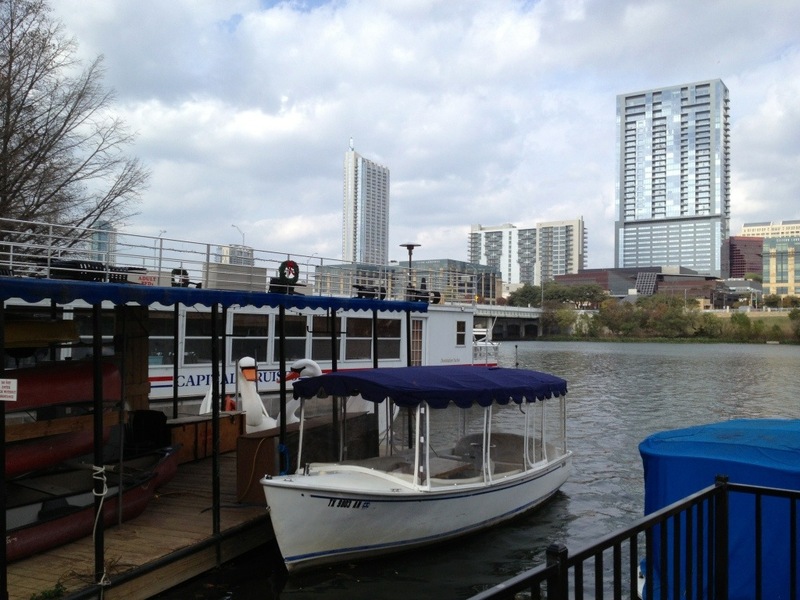 We came across a non-chalant young man running the Capital Cruises area, who ended up talking us out of renting SUPs. We decided on a two man kayak for $15/hour instead. We didn’t want to risk the windy blowing us around, and I was very reluctant to take a plunge in the murky lake despite the warm weather. 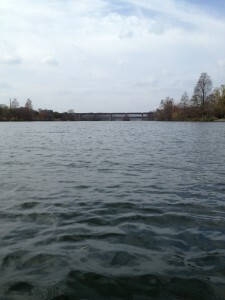 Mom and I had a pleasant and relaxing hour kayak around the lake. There were tons of dogs swimming nearby and birds cruising around in the water to watch. 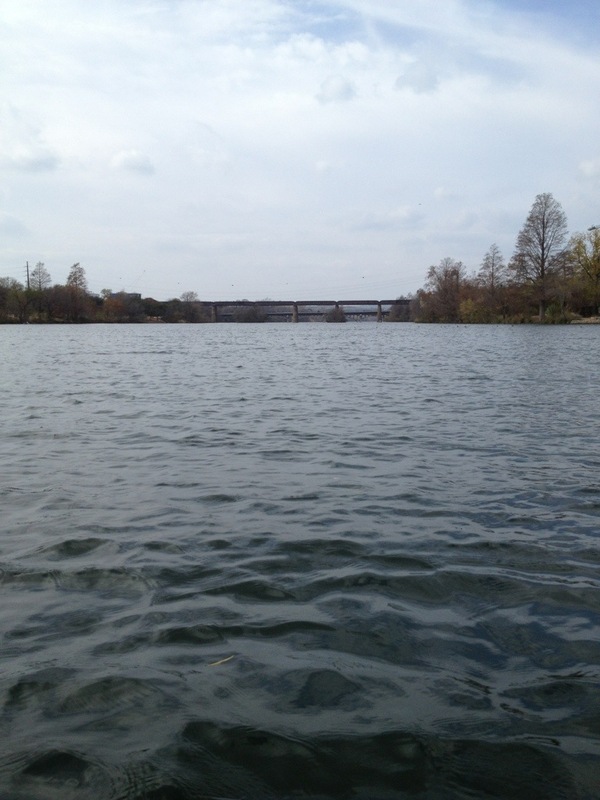 There were only a couple other kayakers on the water. It even got warm enough for me to show off my Honey Girl bathing suit!